For the allergy treatment of itching or watery eyes doctors will at times prescribe the use of Patanol eye drops or the generic name of olopatadine. Patanol is an antihistamine that works to reduce the body’s creation of the chemical histamine. This is what will produce the problem of watery and itching eyes. As a medication it is used to treat ocular or eye symptoms that are of an allergic nature. These can be things like inflammation, itching, watering and burning eyes. Each of these conditions is one that will be treated by the use of this medication should the doctor feels it is a good option. There may be other uses for Patanol that are not listed with this article. And there are several things about using the medication that one should also know. One should be sure to make the doctor away if one has any eye infection. 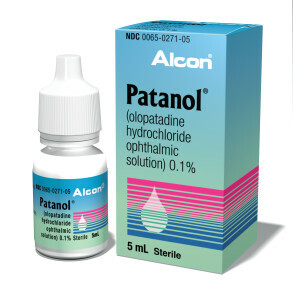 Patanol is not to be used while a not to be used when one is wearing contact lens. 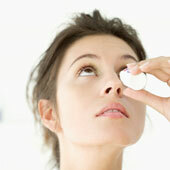 That is because Patanol has a preservative that may be absorbed by soft contact lenses. One should wait at least ten minutes after using the medication before the lenses are put in. Also one should not wear contact lenses if one’s eyes are red or irritated. And one should not use any eye medications that are not prescribed without one’s doctor’s approval. In addition one needs to be sure the dropper used with the Patanol doesn’t become contaminated in a way that will result in infection to the eyes. It is very important that one follow the instructions provided. Patanol should not be used for a longer period than recommended. And should not be used if for some reason the liquid changes color. Plus to be sure that one uses the medication correctly. Placing drops in one’s eyes can be challenging for some who naturally close their eyelids anytime and object is too near. Therefore, one will have to make sure that the drops actually get into they eyes. To be sure one can feel the medicine on the eyeball. And should one have any problem with the application then one might have to consult with one’s doctor or pharmacist for help. It is very important to care for this medication properly. That means to be sure it is store at room temperature and not near a place that is too hot or might contain to much moisture. It is also essential to keep the bottle tightly closed. And to be sure that one is able to take care of the dropper so it doesn’t come in contact with any substance that might result in it contaminating it with something that might cause an infection to they eyes. And if one makes a mistake in the use of the dosage one should call the doctor right way. There are several possible side effects related to the use of Patanol. And as part of the usage one will need to be aware of how Patanol works and how it might cause problems. And to be sure one doesn’t ignore anything that might cause problems in the usage. Should one have problems with breathing or swelling of lips, mouth or tongue one should call the doctor. And one will also need to watch or any problems with the areas of mild burning, stinging, irritation, itching, redness, blurred vision, feeling something in the eye, puffy eyelids, stuffy or running nose, weakness, back pain, headache, or and unusual or unpleasant tastes in the mouth. If any questions come up from using the medication or needs more information about possible side effects then one should check with his or her health care provider. And also if there any other issues one should also check with one’s doctor.